Anna Goldthorpe, 39, is one of Tim’s Inner Circle members. She is from Idaho in the United States and has been teaching piano, guitar and voice for more than 15 years. 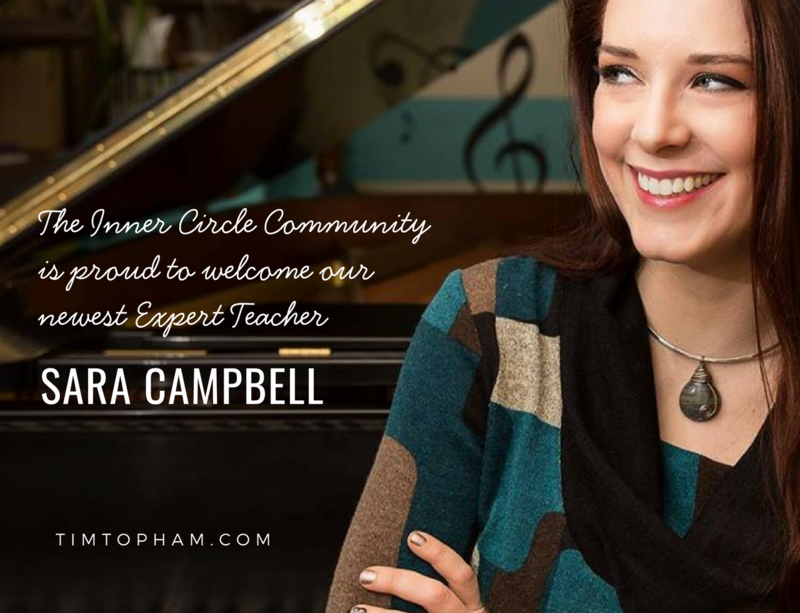 She has taught for various music schools in both Australia and America and now has a home studio of more than 35 students as well as a waiting list. In fact, she is looking to add another teacher and also at hiring some teaching space. 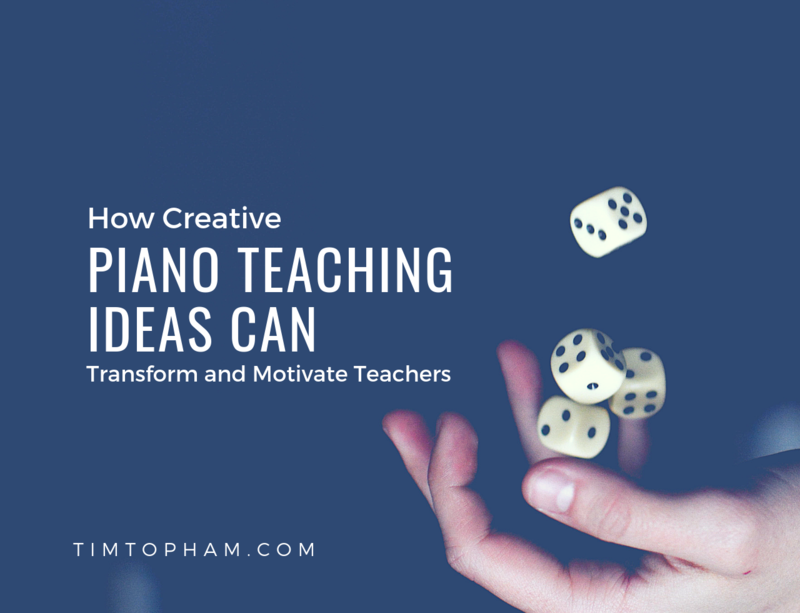 Anna’s story shows the true power of a community like the Inner Circle, in helping harness the potential of creative piano teachers all around the world. Here’s her story. Before joining the IC, my studio included a mere 10 students and I couldn’t seem to grow beyond that number no matter what I tried. I had to take other jobs to supplement our income. I was attending university to obtain my bachelor’s degree while raising three young boys and didn’t have the time or energy to put more effort into growing my studio. I became burnt out, bored and uninspired in my teaching. I even tried making a career change by switching to a Psychology major. This is how discouraged and uninspired I was. I thought for the longest time I had to be strict and teach traditional methods to help students succeed and consequently, I rarely branched out into thinking I could make lessons fun. I was literally about to close my studio doors down for good, until I found the inspiration that turned it all around. It all started with a fun piano game I came across on a piano forum. Not long after this discovery, I attended a webinar by Tim Topham and the creator of the game, Nicola Cantan. I decided to give this new way of teaching a try with my students, and they loved it! I started learning all about creative teaching strategies and before I long I joined Tim Topham’s Inner Circle. I began implementing a lot of the strategies I learned, coupled with Nicola’s Games, and my studio started to take off. Word of mouth started to spread and my current families were giving me five- star reviews on Google which then created more inquiries from web searches. The Inner Circle has helped transform how I approach my studio. For instance, I took the Inner Circle studio reboot challenge, which helped me find my “niche” in teaching by deepening my understanding of what I wanted my students to learn. The challenge helped me focus specifically on those things only instead of allowing myself to be overwhelmed by the broad range of materials, resources and ideas that are out there. It helped me see that I was overspending on materials and resources and not even using most of the things I was buying. Inner Circle membership also helped me change my studio policies and learn to be assertive when it came to cancellations, makeup lessons and refunds. I feel like the Inner Circle has literally walked me through all the most valuable steps to run a successful studio. Another resource that has helped transform my teaching immensely is Tim’s 4 Chord Composing framework. It is geared towards teens but I have started using it with my youngest students. Over the summer I even ran a chord course for all my students. Over the summer I even ran a chord course for all my students. All ages from five-year-olds to adults, were working on chords, composing and playing pop rhythms. I also love the left-hand pattern worksheet, which I use along with the Inner Circle chords course. This Inner Circle course has helped me achieve my goal of creating what I call “portable musicians”: students who can play in any situation with any kind of sheet music whether it be lead sheets, chord charts or written sheet music. Grab the first 3 lessons plans from Tim’s 4 Chord Composing course here! How do you justify the payment? On top of this, the Inner Circle doesn’t cost me a single thing! I charge a $25 registration fee to each family every year when they sign up and I use this amount to cover my subscriptions and recital fees. Experts like Sara are here to help you become a better teacher. The best thing about the Inner Circle is definitely the plethora of varied resources, material and courses available to us as members. I feel like I will have a never-ending supply of fresh ideas on what to teach next. This helps me to save time prepping for lessons and it means I don’t have to reinvent the wheel, because there are so many ideas ready for me to use. With young boys, my family time is precious and anything that will help me savour that time is worth it to me. 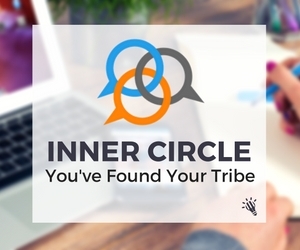 I would say to anyone thinking about joining the Inner Circle, just try it and you will see what everyone is talking about. Once I joined the Inner Circle and I started implementing the things I was learning, and income started to increase. I am so proud to say I am about to start my second year of having a completely full studio. I am at capacity and I rarely have openings for new students because my current students don’t want to leave. I even have had to add two more days of teaching to my schedule this year and now have a waiting list of families who only want to take lessons with me. I regularly get compliments and comments from parents about how their students hated learning the piano before they came to me and now they love it again. I would not have been able to reach a full studio capacity and a larger income without the Inner Circle and I feel forever indebted to the Community! My future goals are to start more group classes to cut down on the extra hours I spend teaching private lessons so I can spend more time with my family. I am also hoping to branch out into a storefront location and hire on another teacher or two. I am also going to work towards running summer camps for low-income families who can’t afford yearly private lessons. Luckily, the Inner Circle has so many resources and training for members that address all these things so I am planning out when I’m going to take those courses and begin to implement each step. Find out what all the fuss is about and how Tim’s Inner Circle could completely transform your studio. Get access to heaps of courses including No Book Beginners, 4 Chord Composing, Growing a Group Teaching Studio and plenty more on the way. Click here to learn more about the Community. We will see you inside! Anna has a B.S in Music and Psychology from University of Idaho and is continuing on to her Masters so she can pursue her dream of becoming a Musical Therapist. She has taught music for over 12 years in a variety of settings both locally and internationally. She has taught well over 300 students through the course of her career. She is a singer/songwriter and released an EP in January of 2012 available on iTunes.